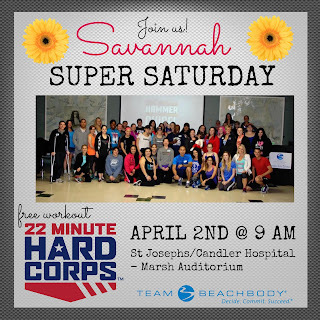 Join us for a fun filled morning with fellow Beachbody Coaches and guests at Saint Josephs Candler Hospital in the Marsh Auditorium at 9am on Saturday, April 2nd. We will have some inspirational speakers, new product launch information, and we will close the training with a free workout - 22 Hard Corps Boot Camp Style workout. As well as offer some prize drawings for everyone who attends. 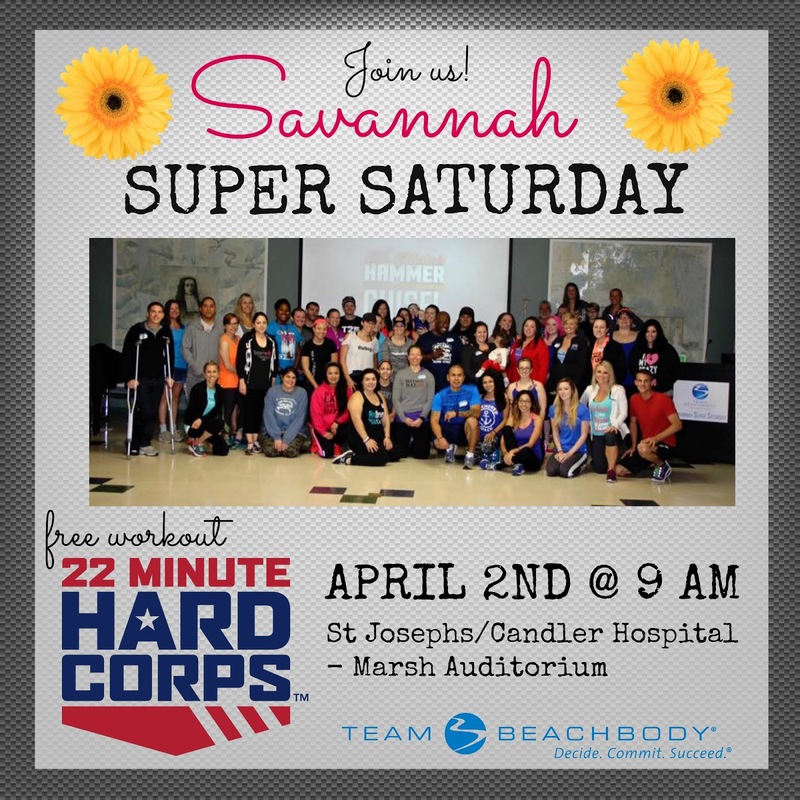 Come and find out more about why Beachbody is an incredible community of regular people who just want to live a healthier happier lifestyle. We don't all have "beach bodies"! I promise we dont! I love food too much to have a 6 pack. Haha! If you would like to be my guest, email me at jenniferwoodfitness@gmail.com and I would love to connect with you. If you are a fellow Coach, the event page is here and we would love for you to join us! Want to know more about becoming a Coach on our Team? Click here.